Hophaus Dachshund Racing is part of our annual OktoberFest Celebrations. The races and costume parade are held at the Southgate Podium Level where heats started at 11am, finals and then finished with a Costume Parade. 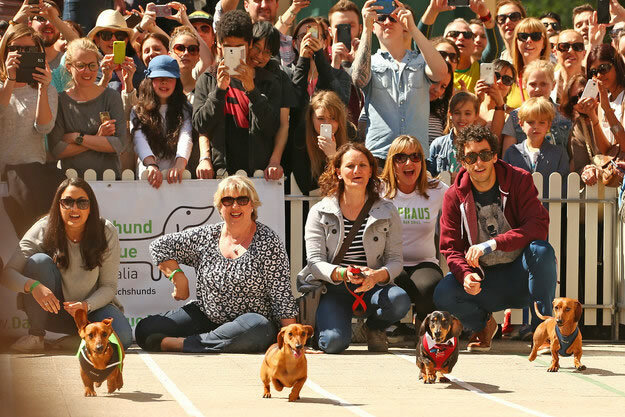 An amazing day of fun to watch the gorgeous dachshunds run down a 18 meter long track - you should see them go! And you should see the costumes!! The total raised since 2015 is $13,690 for Dachshund Rescue Australia. Who knew this would be sooooo pawpular! !